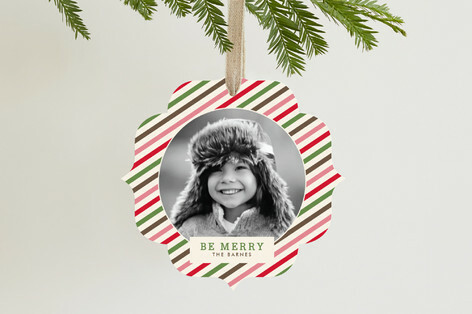 One Mom's Moxie: Check Out Minted for the Perfect Christmas Photo Card! 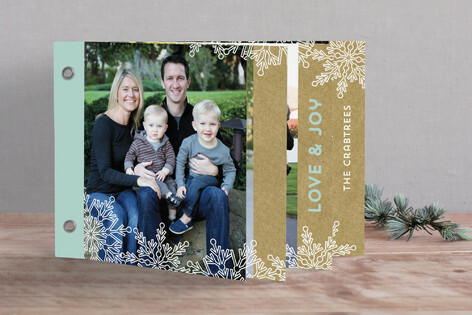 Check Out Minted for the Perfect Christmas Photo Card! Minted is a website that provides artists and aspiring designers from all over the world a place to showcase their work. You are able to purchase products that are not always available in the mainstream market. At Minted they believe in taking care of their customers, giving you not only stunning pieces of art but fantastic customer service. Whether you are looking for a birth announcements for your newest little family member or stationary for a great friend you are going to find a variety of beautiful, artistic products. 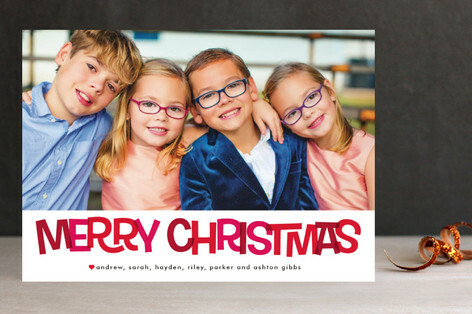 Finding the right Christmas card is not always easy but at Minted they have a delightful collection of Christmas Photo Cards. You will be surprised to see the considerable amount of photo cards to select from. I have looked through a great deal of the Christmas Photo Cards and have many that I want to share with you. Like the one about that was designed by Ann Gardner. There is also the one below that is is an ornament card that was designed by Carrie ONeal. I think this card below designed by El Bandel is just adorable! It was shown as a rectangular card but I hit the shape button and got the wavy edge that gives it a little more character. And this last card is a called a minibook card. This card was designed by Laura Hankins and it is such an interesting card. Each page can feature a photo or wording, you can tell what each child did that year, how the year was for the entire family or share a special event that happened. 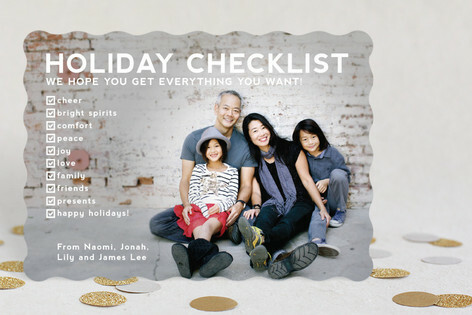 So whether you are looking for a more traditional Christmas card or something a little more personal, like a Christmas Photo Card, I recommend looking at Minted.